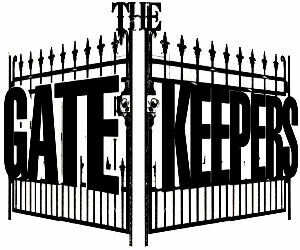 Life would be easier for salespeople if it were not for the dreaded gatekeeper. All you want is one appointment; one opportunity to make a pitch to the boss. How bad can that be? For many in the telemarketing industry, running into gatekeepers every day can be a very frustrating experience. No one likes being rejected. Fortunately, there are ways to get past the gatekeeper. The gatekeeper’s role is to screen every person who wants to communicate directly with the decision- maker of the company. Salespeople, in particular, will try to get in touch with the decision maker through various channels of communication. It could be through email, phone call, or personal visit. Thus, the gatekeeper is the person who frequently communicates with the decision- maker. Usually, it is the receptionist. The gatekeeper could also be the secretary or Personal Assistant. He/she knows the schedule of the decision- maker. If it is the secretary or PA, most likely he/she prepared the decision- maker’s schedule for the week and intends to keep it that way. Calls and requests for an appointment outside the scope of the week’s agenda are almost always denied. Does it make the gatekeeper a bad person? No, he/she is merely performing his/her job. The gatekeeper can be very protective to the point that you may view him/her as unreasonable. More than likely, the instructions to screen all requests for appointments came from the boss. Once you understand that this is all part of the job description, it will be easier to apply the tactics we will share with you on how to get past the gatekeeper. We’ve established that the gatekeeper is not a bad person. He/she is not some troll or ogre guarding the bridge to the kingdom. The gatekeeper is a human being; made of flesh and blood and motivated by emotions. Getting past the gatekeeper is a negotiation process. Negotiation is often described as a battle of wills between two parties with opposing interests. However, when dealing with gatekeepers you should not view negotiation as a battle. There are no protagonists and antagonists. Your mindset should be to bring the gatekeeper to your side. Get the gatekeeper to work with you instead of against you. He/she should be your partner, not your enemy. How can you make this happen? The gatekeeper is a paid 9- to- 5 employee whose job includes managing the decision- maker’s schedule. It’s all about ensuring productivity of his/her boss whose own decisions have ramifications on the success of the company. You would do the same thing if you were the gatekeeper. Therefore, gatekeepers should be respected but not feared. If you see the gatekeeper as the enemy, that will create an antagonistic mindset. Your approach will initiate conflict instead of resolution. Before you try to get past the gatekeeper, find out if the person you are working to get an appointment with is the decision- maker. Otherwise, your efforts will be wasted. You should also conduct research if the company has need of the products or services you plan to offer. What are the company’s pain points? Can your products or services offer immediate solutions? If you do get past the gatekeeper but the decision- maker sees no value in your sales pitch, it may put you in a bad light. Keep in mind that business- owners, top- level executives; the decision- makers themselves do not like wasting valuable time. The golden rule in telemarketing still holds true: Never sell over the phone. The purpose of the phone call is to get an appointment. 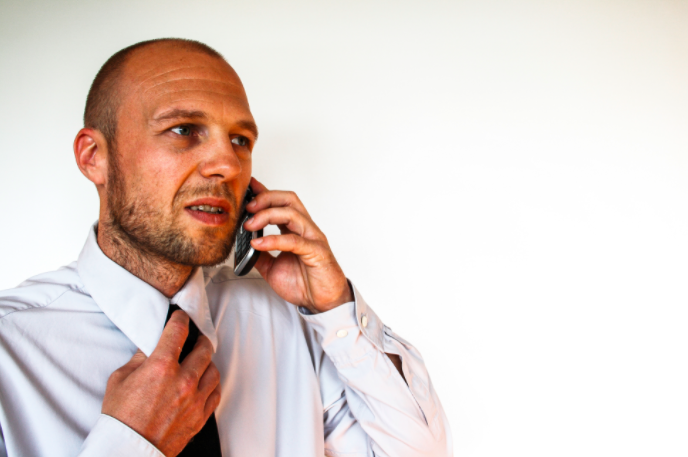 If you try to pitch over the phone, you will weaken your position to sell a product or service. The golden rule should be respected especially when dealing with gatekeepers. You should only pitch to the decision- maker. Gatekeepers are not the decision- makers. If they ask you, “May I know what your business is all about?”, do not give in. Whatever you tell them will be used as reasons not to give you an appointment. You can try to continue and push for your product, but you will just end up getting frustrated and running in circles. As the conversation wears on, your chances of landing an appointment become slimmer. Eventually, the gatekeeper will just shut you down for good. One of the biggest mistakes salespeople make is to view the gatekeeper as a “glorified secretary’ who only takes messages and transfers phone calls. Remember our first tip: Respect the Gatekeeper. In addition, engage them and work to develop a trusting relationship. Chances are, the gatekeeper will be taken aback that you know her name. She might be impressed that you took the time to research and find out who she is. If Jenny answers in the negative, instead of becoming insistent, try to find a way to get her assistance. Whether Jenny is cooperative or not, don’t insistent on getting your way. The objective of the first call should be to build a relationship with the gatekeeper. Respecting her instruction, ending the conversation on a positive note, and using her name all contribute to building a trusting relationship with the gatekeeper. The next time you call, she may be more accommodating. Telemarketing companies use scripts to make sure agents don’t say anything that violates consumer rights and privacy laws. However, they almost always never work because they come across as mechanical especially when dealing with a gatekeeper. Remember our previous tip: Humanize Your Approach. Gatekeepers are human beings. Talk to them like one by engaging them in a real conversation. Scripts put pressure on agents to stay with the guidelines. They make agents more nervous. Scripts are constraining; it will be difficult for agents to navigate their way out of objections. Scripts sound contrived; they do not make the agent sound sincere or genuine. Instead, agents sound stiff and mechanical. Scripts do not encourage feedback. Without feedback, it will be difficult to have a conversation. Put simply, using scripts is counter-intuitive because it turns humans into automated beings. Engaging with a gatekeeper over the phone is just communication. There is intuition involved during communication; intuition initiates feedback or the type of response. When you use scripts, you essentially shut down the feedback mechanism. As we have shown, the first step to getting past the gatekeeper starts with you. Change your perspective about the gatekeeper. He/she is nothing to be fearful about. Gatekeepers are just like you. They are paid to do a job with a set of responsibilities. One of those duties includes ensuring his/her boss; the decision- maker remains productive. If you can’t get through him/ her, from the company’s standpoint, he/she is doing a good job. You will have to change your approach and focus on how to work with rather than against the gatekeeper. This means you have to come across as a professional. Conducting research before the call to find out how your proposal can potentially help address the company’s current pain points will certainly make a good impression. Lastly, talk to the gatekeeper as you would with another colleague. Refer to the gatekeeper with his/her first name. Forego the use of scripts. Work toward having a conversation instead of a discussion over your proposal. A good conversation is the start of a promising relationship.